All orders are hand crafted by the artist of Fire Creek Clay, because of this orders can take 4-6 weeks for delivery. Fire Creek Clay reserves the right to cancel and fully refund any order. To cancel an order, please contact Fire Creek as soon as possible. No refund is offered once an order has been started. If an order has not begun production, a full refund will be offered. Inspect your order upon arrival thoroughly. Please contact Fire Creek immediately should tile be defective or damaged during shipment. Fire Creek is happy to refund or replace damaged tile. Installation of Fire Creek tiles deems acceptance of the product. 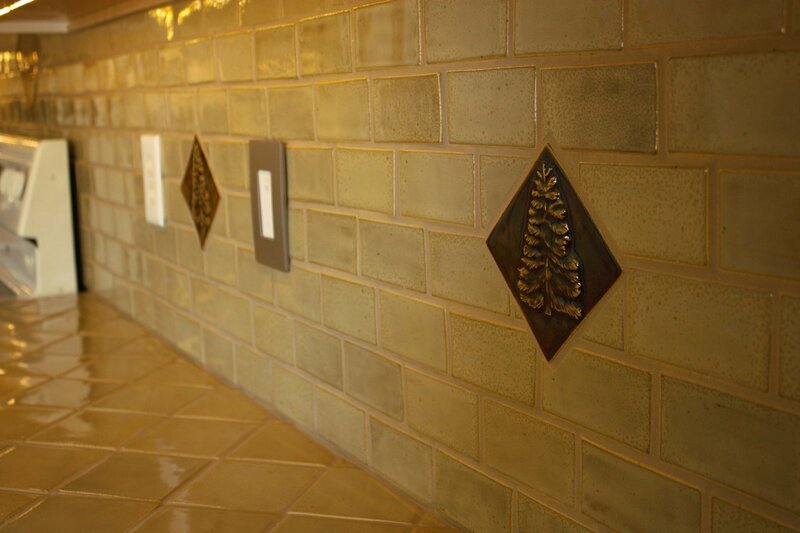 No returns can be made after Fire Creek tiles have been installed. Fire Creek ships all orders via USPS Priority Mail. Should you require a different method of shipment, please contact Fire Creek. Fire Creek Clay is not liable for any costs associated with the repair or replacement of tiles. Including removal, installation, or re-installation.